Meeting at Freemasons' Hall, Crane Street, Salisbury, Wiltshire. 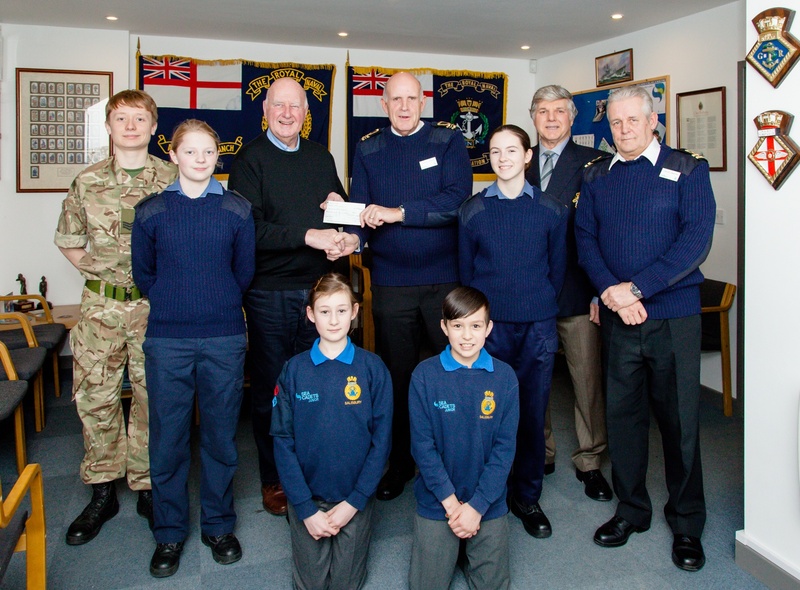 Derek Brown and Foster Telford were 'pressed' into service on behalf of Salisbury Freemasonswhen they presented a cheque for £300 to Salisbury Sea Cadets towards Adventure Training and Kayaks. Photo: Left to right: Lt Com(SCC) Clive Hackett, Derek Brown, Foster Telford, Lodge Elias De Derham No 586, Lt Mike Dibben (SCC) and some members of the Sea Cadets. 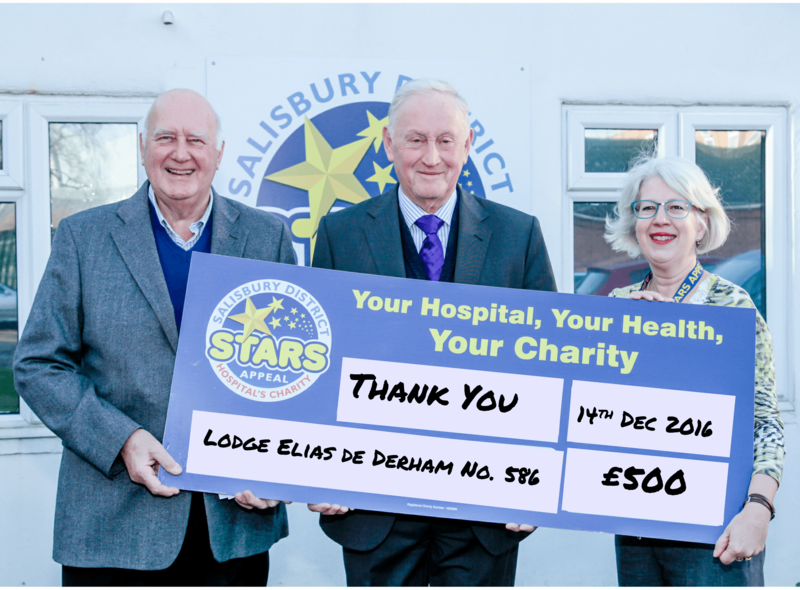 Bro John Holt WM of Elias de Derham was joind by Bro Derek Brown Lodge Charity Steward when he presented a cheque for £500 to The Stars Appeal Salisbury District Hospital last Wednesday 14th December. Also in the photo receiving the cheque is Jo Maslen, volunteer for The Stars Appeal. John and Derek then received a presentation from Dave Cates, Fund Raising Manager, on their 2016 achievements and overall plans for 2017. 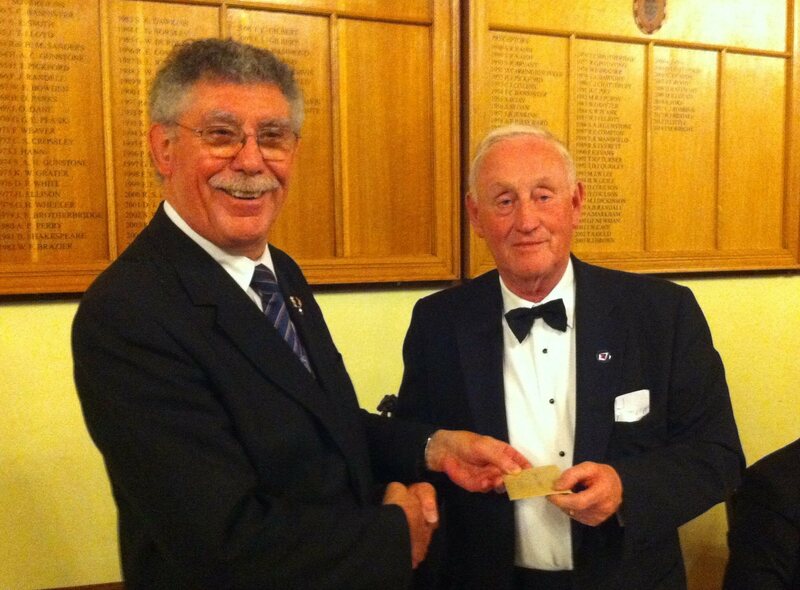 At the Installation meeting of Lodge Elias de Derham the newly installed Master John Holt took the opportunity to present Presiding Officer, Peter Winton with a cheque for £3,000 to be put towards the Masonic Samaritan Fund 2017 Wiltshire Festival. In accepting the cheque, Peter said "As we enter the final furlong in what has been an amazing Festival we must not allow a sense of complacency to take over which might just see us fail at the last hurdle. 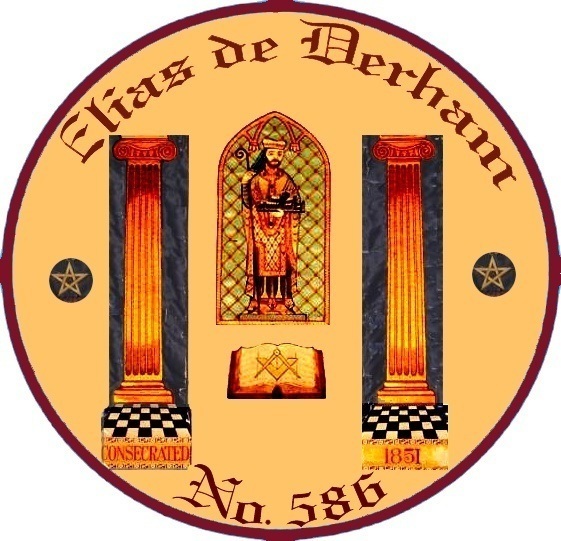 Lodge Elias de Derham has shown us how important it is to 'kick on' and make sure we get over the line"
On Friday 16th October Elias de Derham members presented Salisbury Hospice Charity a cheque for £1,000 . 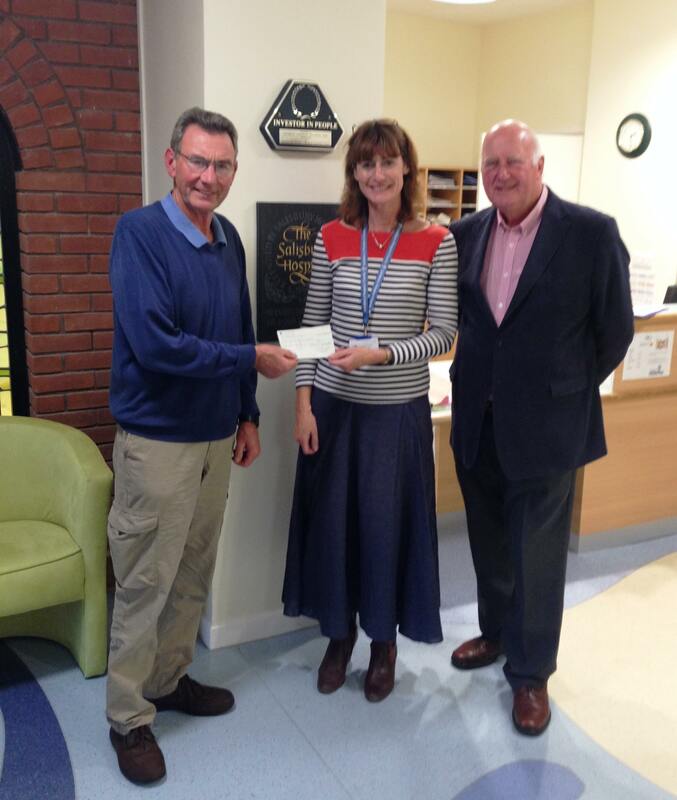 The Salisbury Hospice was the chosen charity of Immediate Past Master - Chris Waters during his term of office, and with Lodge Charity Steward Derek Brown he visited the Hospice to present a cheque to Celia Scott who is pictured accepting the cheque on behalf of the Charity. Freemasons throughout the Province provide valuable support to the hospice movement which enables individual local units to provide end of life and palliative care. In addition the Hospices supported by Wiltshire Freemasons are able to offer much needed support to the families of patients . 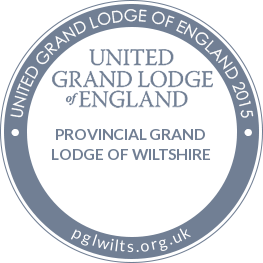 Nationally, the Freemason's Grand Charity makes substantial grants to the three primary hospices operating in the Province - Salisbury Hospice, Prospect Hospice in Swindon and Dorothy House Hospice in Bradford-on-Avon. 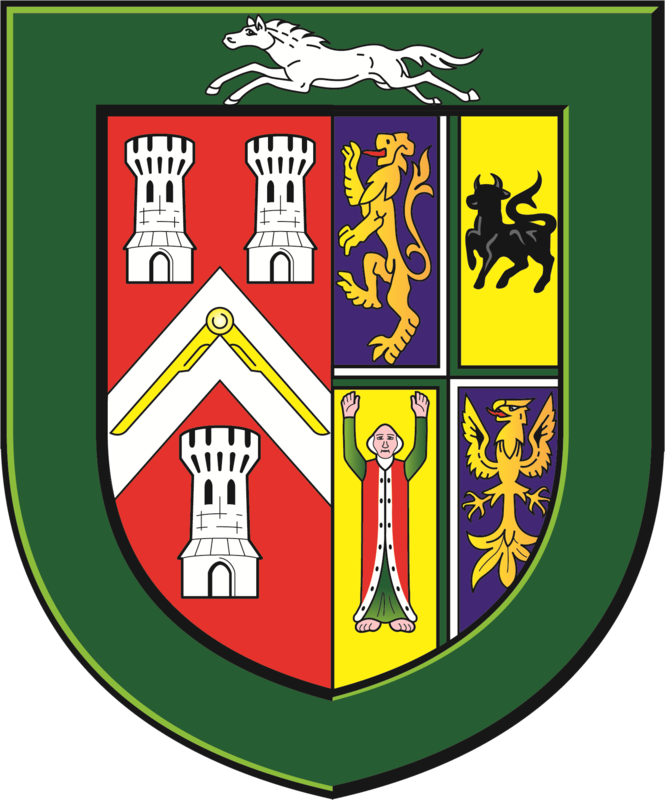 The Province of Wiltshire also supports the three hospices with annual donations.